In order to create a thriving dental practice, getting new patients is not enough. You have to give each patient due attention and provide them with high quality dental care and excellent service. This will help you retain more of your patients for a longer duration. And let’s be honest, most people do not enjoy visiting a dentist – they only do so out of necessity. Therefore, you and your staff must do everything possible to satisfy every patient’s needs. In this post we discuss how you can get patients to enjoy their visits to your office by making a few small but important changes. A patient is more than dental case – they are living, breathing human being. Many dentists are so focused on their dental work that they forget to interact with their patients on a personal level. Do you make an effort to remember patient names? Do you know where they work or what school they attend? Have you discussed football/basketball results with them? If you don’t have a good memory, try keeping notes about each patient, shared interests and hobbies, family news, achievements and career news. This information will help you connect with your patients on a personal level beyond a professional dentist-patient relationship. This personal friendship will ensure high patient retention and your patients would look forward to meeting you on their next dentist appointment. 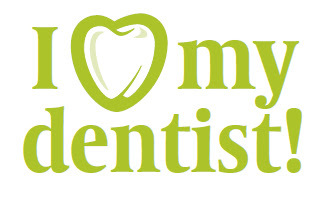 Make your patients feel special – as if they are the only patient your dental office has. Send them a greeting card for Christmas. How about giving a free teeth whitening for their up coming birthday. Ask them for feedback on their last visit. Offer loyalty discounts and accommodate emergency and family block appointments to facilitate long time patients. A patient relationship management software would help you keep a record of all your interactions with each patient so your office can provide them with the best dental care. Every patient deserves to get the best dental treatment and support and your dental office has a duty to provide that. Patient satisfaction goes beyond just the dental treatment. Your staff should also hold themselves accountable for providing the highest level of patient satisfaction. Your front desk and receptions must answer patient queries and satisfy their concerns, schedule/cancel appointments and send reminders as appropriate and facilitate new patients. Your hygienists should be thorough in their work and go above and beyond to satisfy patients. And off course you must give due attention to each patient whether it is a 2 minute exam or a $20k dental implant case. Would you like to visit an unkempt office? Neither would I. When was the last time you renovated the waiting area or replaced the TV? Does your office still rely on outdated dental equipment? Does the air conditioner need servicing? Is your office refrigerator full? All these things impact your staff morale as well as the patients that visit your office. By keeping your office in tip-top condition your improve staff performance and patient satisfaction. Also consider adding some more office amenities. A successful dental office needs lots of happy patients that keep returning for more dental work and also refer their acquaintances to your dental office. The next time you find yourself or your staff cutting corners in terms of patient satisfaction just stop and answer this question. Will you accept the same if you were the patient?